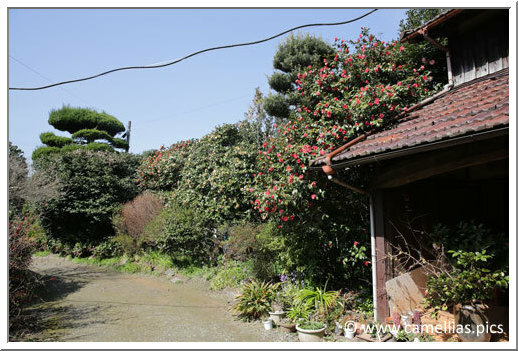 Let's continue our visits in Kurume and its surroundings. 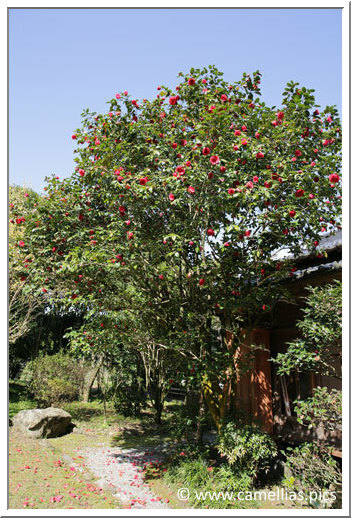 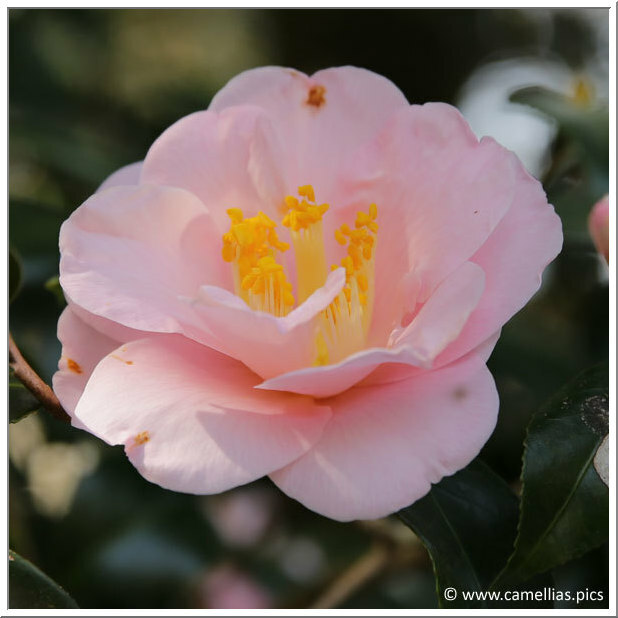 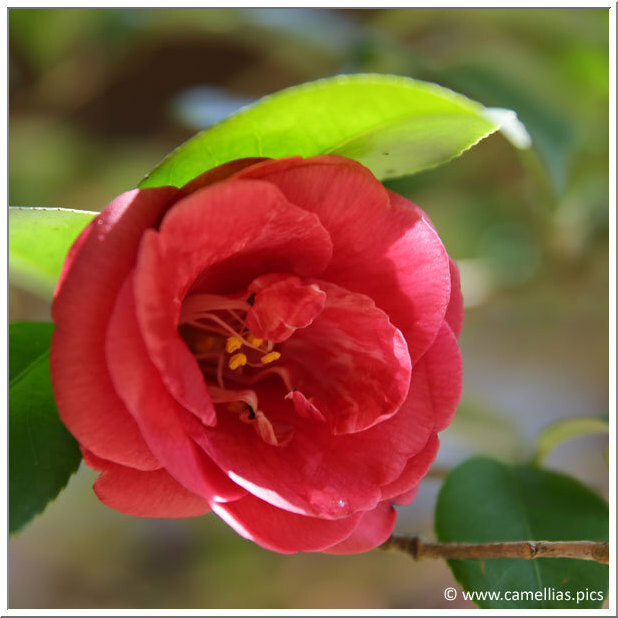 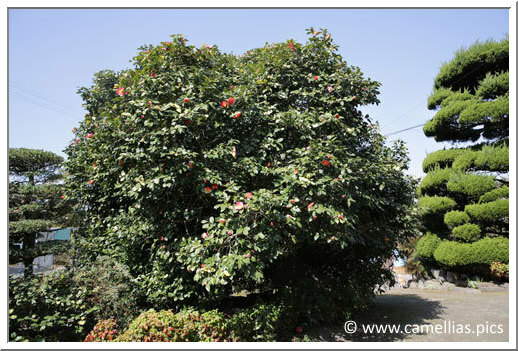 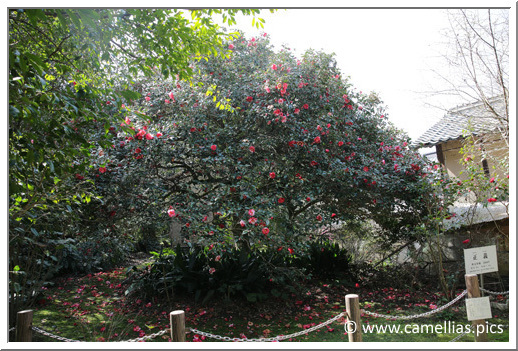 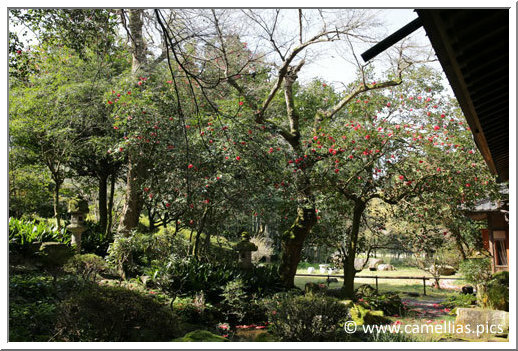 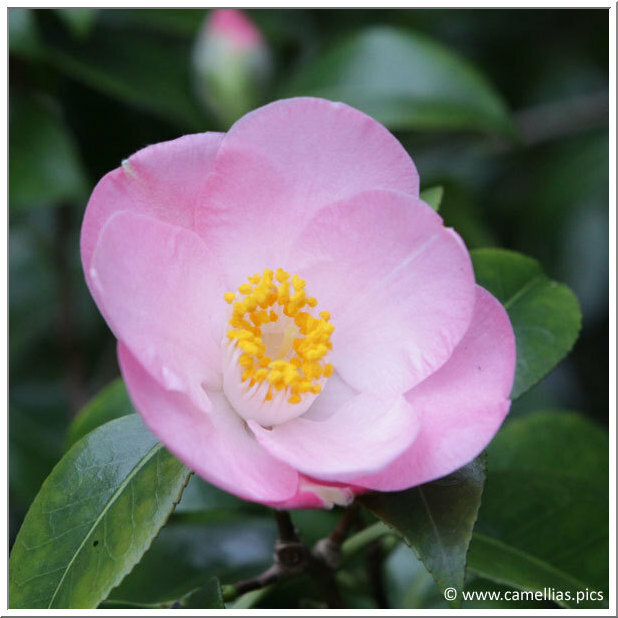 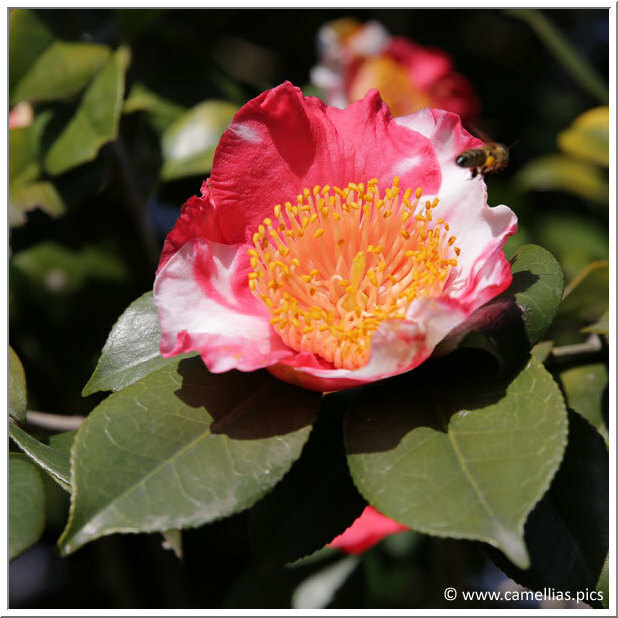 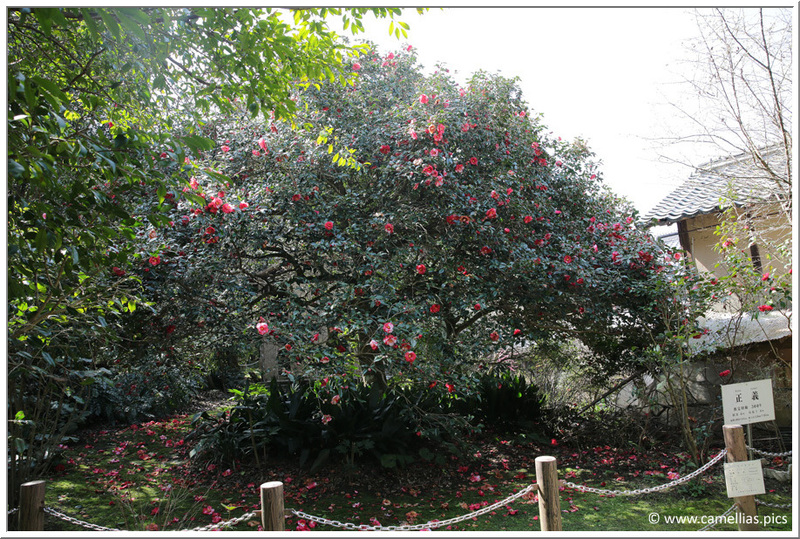 You can walk to Kusano-Machi and discover, in individual gardens, very old camellias. 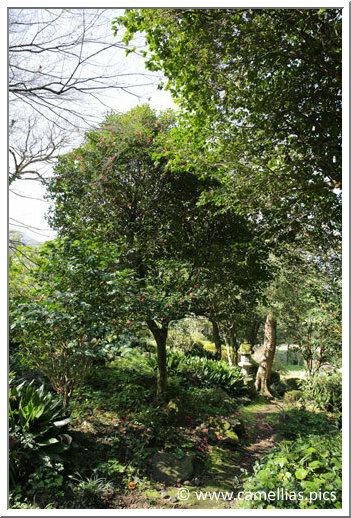 Here is a page dedicated to these magnificent private gardens. 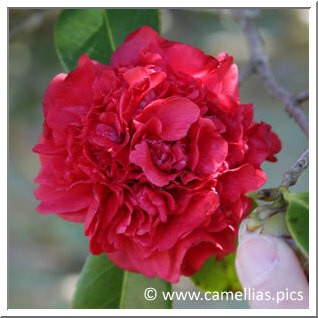 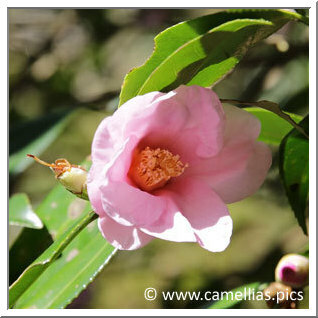 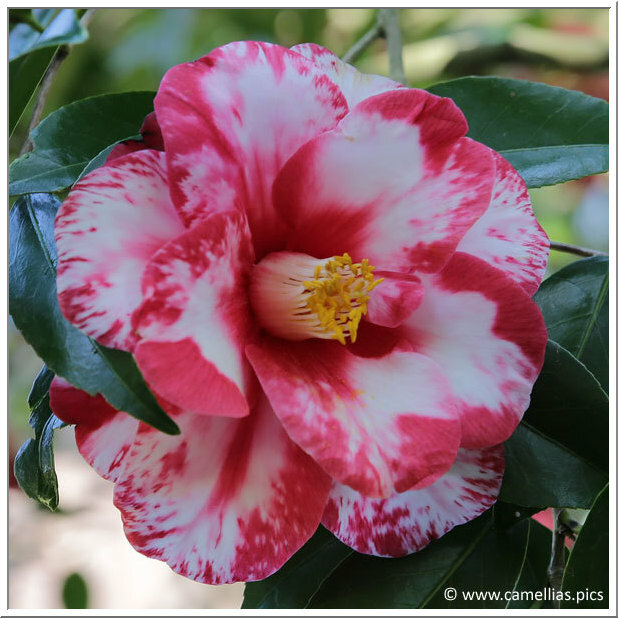 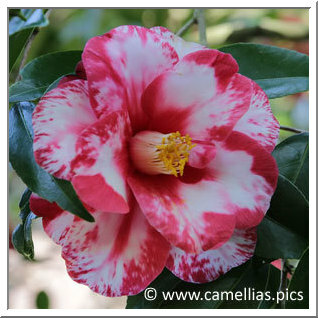 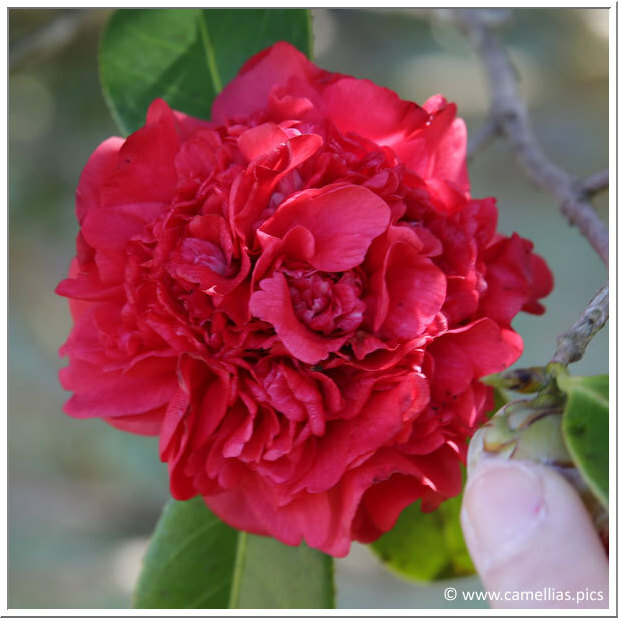 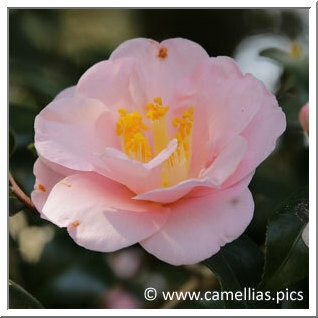 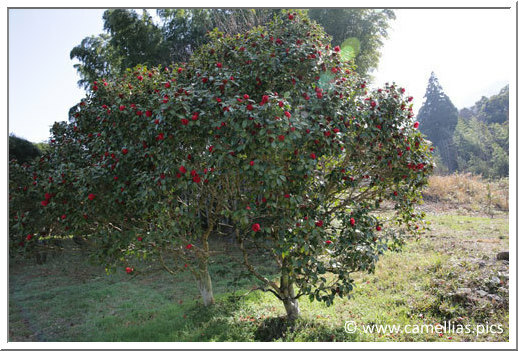 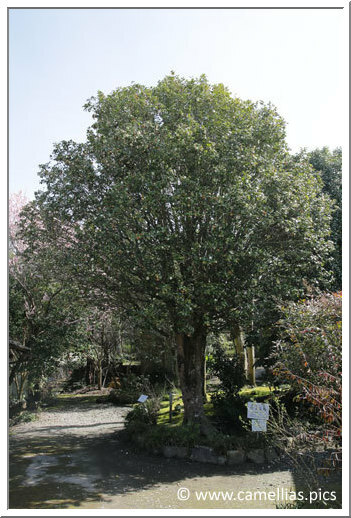 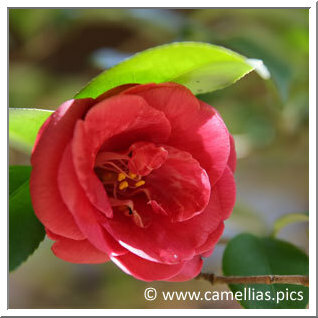 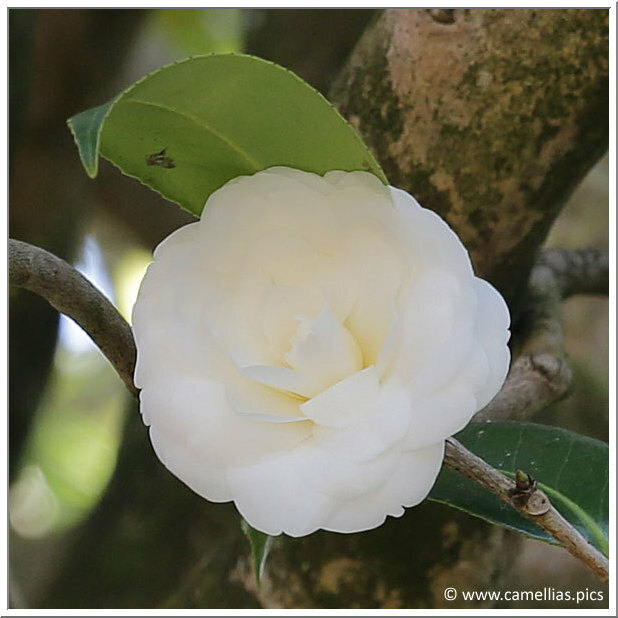 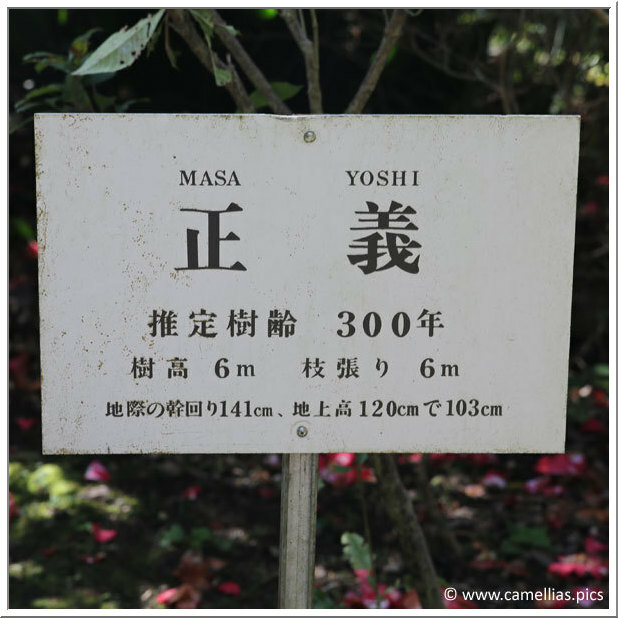 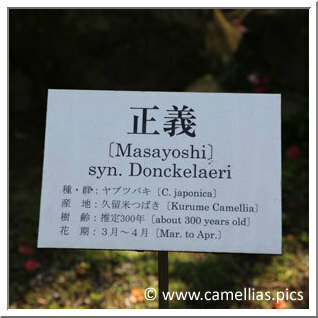 Let's start with the one where we admired a 'Masayoshi' camellia aged of about 300 years... that we present below. 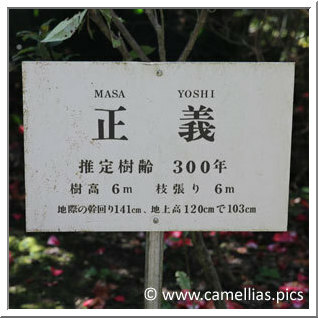 All of these remarkable camellias gardens have a sign, giving their name and age. 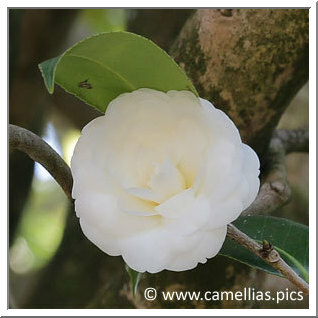 The other camellias of the garden have the same size, the hedge is impressive. 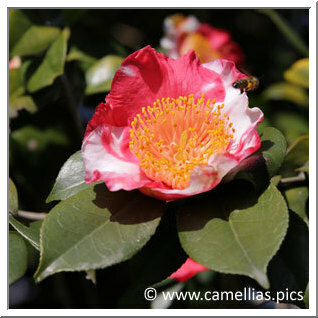 Other beautiful subjects of the garden, admire their size. 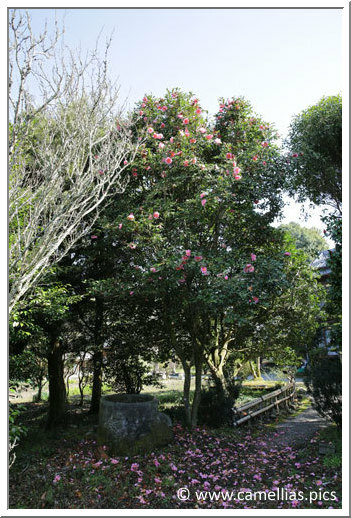 'kurume-goshiki-tsubaki', about 90 years old. 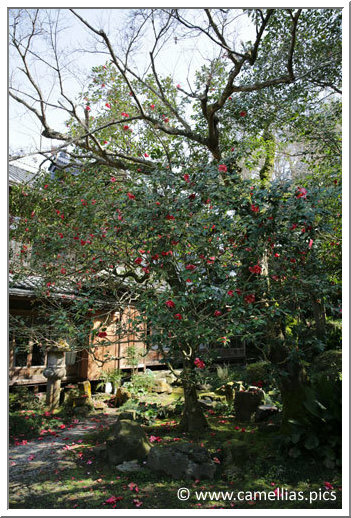 Below, 'Kânêshon-tsubaki', with the detail of the flower. 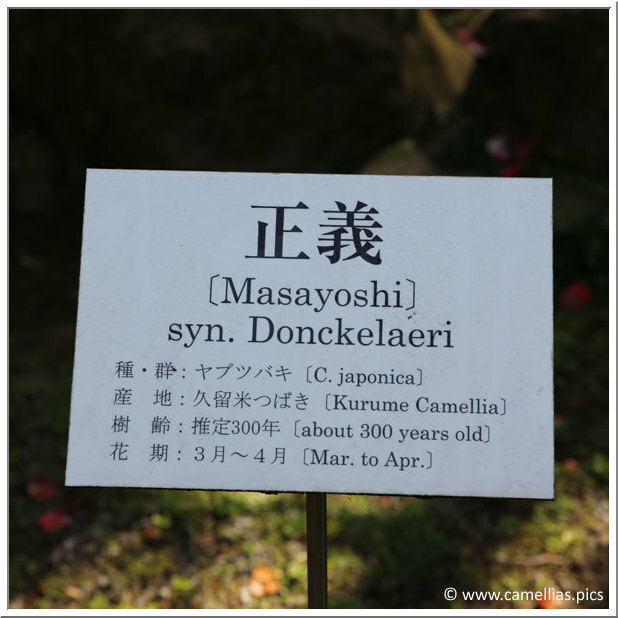 Finally another view of 'Masayoshi'.